← Review of U.S. – China Trade Relations and WTO Litigation — Data Reveals Broad Usage and Compliance. 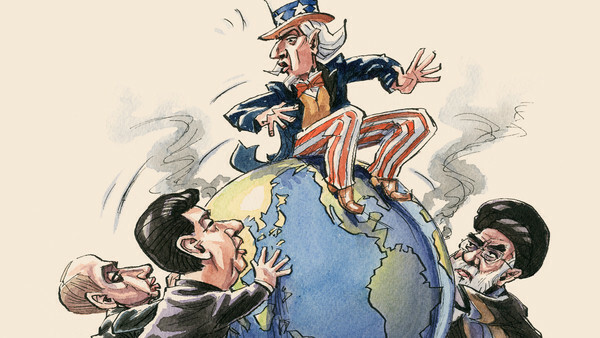 Trade Policy & Geopolitics —Trade Policy at the Core of U.S. Foreign Policy? Recent developments continue to highlight a broad range of trade issues from the role of states in trade, trade sanctions and terrorism, subsidies and non-market economies (China), recent WTO cases concerning trade with China, Obama’s trade enforcement strategies, “revisionist powers” in the post-9/11 era, bilateral investment treaties (BIT), revision of the Information Technology Agreement (ITA), cybersecurity and more. Many of these issues concern China, U.S. sanctions policy and export subsidies. …. Promoting trade and investment relations with our closest trading partners is critical for economic development and job creation. 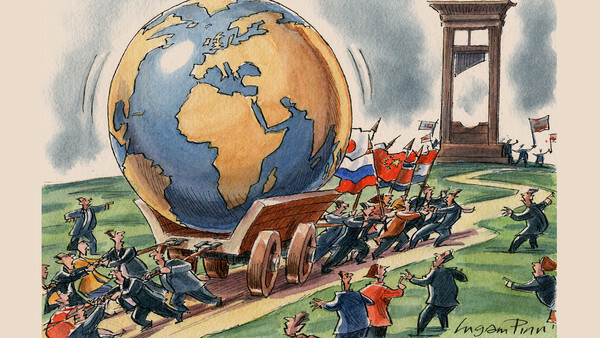 States need to be even more aggressive in order to compete successfully in the global economy. “Virginia Trade Mission.” “Virginia Trade Mission.” Governor’s News Release (June 9, 2014). …. WTO upholds U.S. 2012 GPX law concerning subsidies in non-market economies. U.S. did lose on double remedies issue. “China Fails a Second Time.” USTR New Release. (June 8, 2014). …. “Trade sanctions (and laws such as the Foreign Corrupt Practices Act) are exactly the kinds of policies we should be pursuing to make the world a better place through our economic influence — instead of, to the maximum possible, our military influence.” True, but need to balance our domestic interests and those of our global firms. Can’t be done blindly or as a default foreign-policy action. “Use Economic Clout Responsibly.” Washington Post (July 3, 2014). …. The Obama administration continues with an aggressive trade enforcement strategy. This is very much needed. 18 WTO complaints filed. Won all 6 that have been litigated. 9 filings were against China. “Obama and Trade Enforcement.” USTR News (July 3, 2014). ….Post-Soviet Union World of 1990s — Global economy, multilateral institutions, U.S. supremacy. Post-9/11 — Emerging powers, terrorism, limited U.S. supremacy. How systemic are the newer challenges? “Revisionist Powers.” Financial Times (July 2, 2014). …. Potential China-U.S. Investment Treaty (BIT) great potential benefits for both countries. So does the revision of the Information Technology Agreement (ITA) as to encourage greater U.S. tech exports to China. “U.S. – China Negotiation.” Wall Street Journal (June 30, 2014). This entry was posted in Global Trade Relations and tagged bilateral investment treaties, Financial Sanctions, ITA agreement revision and China, state trade relations, trade sanctions, Virginia and global trade, WTO and export subsidies and non-market economies. Bookmark the permalink.